There are tens of thousands of reasons that are partition is deleted from the hard drive and for the same reason the number of effect it can have on the PC is also same as it can make sure that positive as well as negative effects can be brought to the system. It is also to be noted that there are many ways to make sure that a user gets the best and the state of the art results when it comes to deleting the partition. This tutorial is all about the terminology and to make sure that the results that are obtained in this regard are the ones that are in line with the user’s requirements. It is one of the first and foremost reasons for which the partitions are deleted and the user makes sure that the while going through the system he has to browse lesser partitions to make sure that the desired documents are found with ease and satisfaction. It is also to be noted that the user in this regard should also make sure that the partition is deleted as per the requirements or else the data loss could occur in future if there is any issue with the drive with lesser partitions. To resolve errors in this regard is also one of the primary functions to make sure that the partition is deleted and the user gets the best and the state of the art results. At times it happens that the partition gets corrupted and for the same reason it is mandatory to make sure that it is deleted so that the overall hard drive functions are restored to normal. It is also to be noted that the user in this regard should make sure that the partition is always deleted as a last resort and the user should also make sure that the built in tools are used rather than the external and third party powered tools with zilch results. How to delete partition in Windows 10? 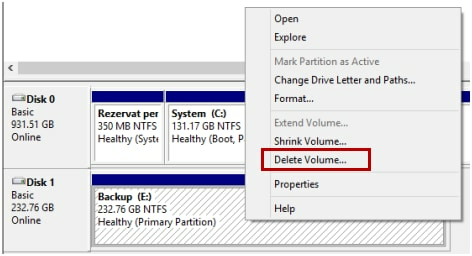 It is to be noted that deleting partition in windows 10 is same as any other OS that has been launched by Microsoft and for the same reason the user needs to make sure that the best and the state of the art tools that have been built in are used to make sure that the results are obtained in line with the user requirements and the partition that has been deleted also resolves the issues that are being faced by the users. It is also to be noted that the user should make sure that the partition that is to be deleted is also backed up as there is a lack of state of the art data recovery tools on the internet and therefore the lost data cannot be restored if proper precautionary measures are not taken in this regard. When it comes to windows 10 then it is to be noted that the user should make sure that the current version of the OS is buggy and for the same reason the hard drive or the partition issue might be related to the issue rather than the drive itself. It is also advised in this regard to contact experts so that they can get a way out for the user to make sure that the needful is done and the best and the state of the art resolution is also provided. 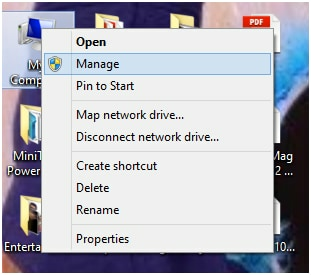 Go to download Wondershare Data Recovery on your computer, launch it and follow the next simple steps to perform partiton recovery. Select the file type. To recover data from partition, you can select the option "All File Types" to start. 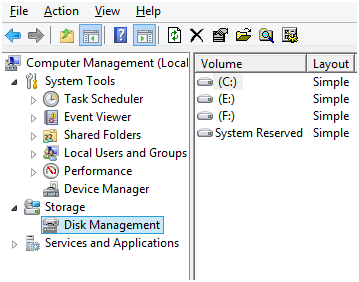 Select the target location to scanning lost partition. If you are not sure the path, you can select the option "I can't find my partition" to scanning lost files. You can go to deep scan if quick scan can't get your lost files. The deep scan will deeply search your partition, but it will take more time. After deep scanning, you can preview the recovered files and click "Recover" to save to another storage device. a.The user should make sure that the built in functionalities of the windows 10 is used to delete the partition as it is the most successful way of doing so. b.Third party software programs to delete partition are to be avoided and should only be used when the internal functionality fails.